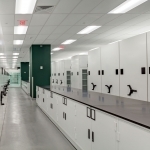 High-quality archival flat file cabinets. 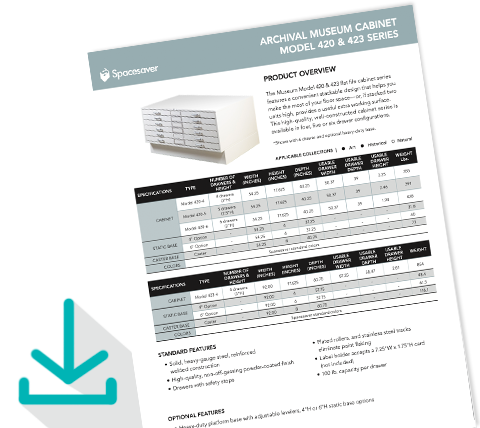 Capable of storing a number of large flat items, our archival flat file storage cabinets provide worry-free protection and enduring value. With stainless steel tracks and plated rollers, the drawers operate smoothly day after day, year after year. Model 414 features a glass top for viewing into the contents of the top drawer. And as with all our museum cabinets, a non-off-gassing powder-coat paint finish provides durability and a clean appearance. 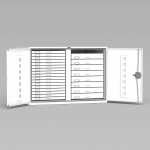 Our cabinets are manufactured in the USA of solid, heavy-gauge steel with reinforced welded construction. Our archival flat file storage cabinets provide secure protection for maps, two-dimensional artwork, and other objects. Download an Info Sheet to learn more. Counter-height archival flat-file cabinets provide a convenient work or display surface, or they can be stacked to maximize floor space. Features vary by model. Please download an Info Sheet to learn more. 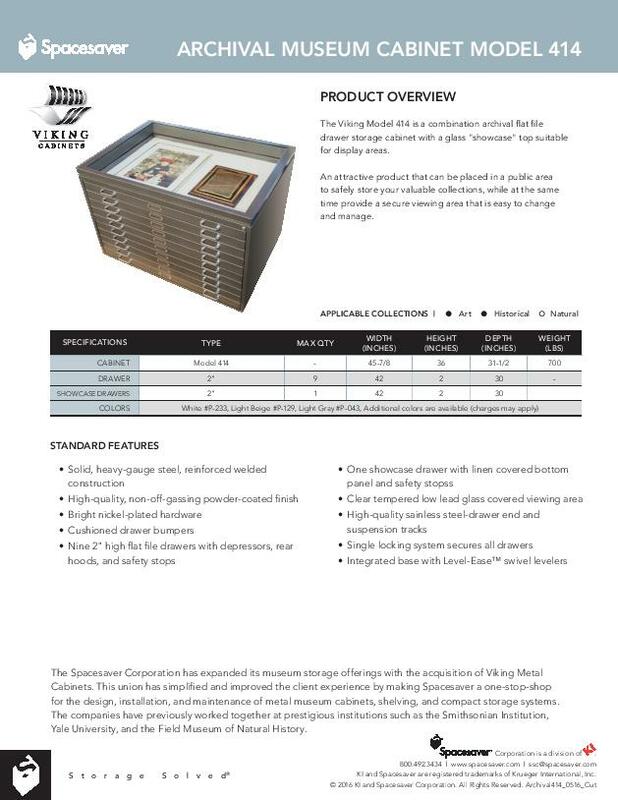 Options vary by model and additional options might be available; please download Info Sheets for detailed information. Can’t find what you’re looking for? Contact Spacesaver for custom applications. Click to contact us today for a free on-site space assessment. Your local Spacesaver museum storage consultant will carefully measure your available space, discuss your needs, and recommend solutions that will save space, maintain accessibility, and preserve your collections for generations to come.